Trillia oozes joy - it's in her writing, her picture and her tweets. She is an author, blogger, and speaker in addition to being a wife and mother. I discovered Trillia many years ago through her writing and there was something in her writing that was relatable to me. (I think we would be good friends in real life)! 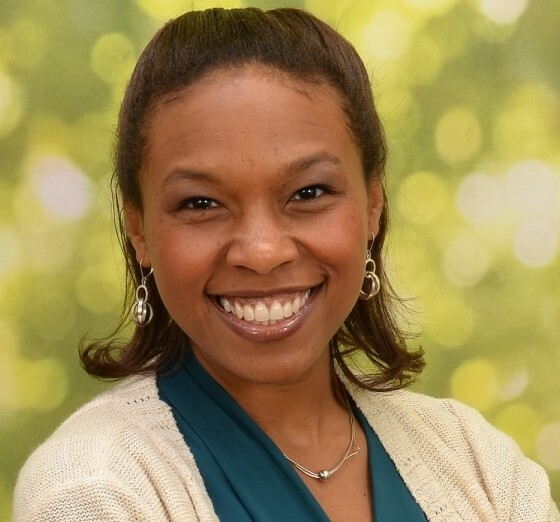 I am thrilled to introduce this month's Woman of the Word - Trillia Newbell. TN: I love using Bible Hub (http://biblehub.com/) as well as the ESV Study Bible. TN: I am currently reading Esther in my personal Bible study times, but that came after a stretch of reading most of Paul’s epistles. I wish I gravitated more toward the Old Testament, but I do find myself reading more in the New. I’m hoping to change that this year. TN: I want to know God in greater ways and the only real way I see to do that is through studying His word. I also believe that the Bible contains the truth for life—I want to walk in a manner worthy of the gospel and in order to gain wisdom for walking, I need to be in the word. God’s Word also builds my faith for the world. Jesus is our great Hope. He came into the world to redeem it and one day He will return. I need that reminder daily. TN: I don’t know that it all works that way for me. I tend to study and read and re-read, and then I have to trust that what I’m writing is of the Lord. I also pray before I write. I pray that the Spirit will empower me to write words that will edify the reader and glorify God. But rarely do I stop writing and then think, Yep, that’s totally 100% accurate. I tend to pray too that the Lord would protect the reader and provide discernment should I write something that is not accurate. TN: I try to approach topics with a sober mind and self-control. I don’t always do this well, but that’s my goal. When thinking about complex topics, I will try to think about the broad sweep of the Bible rather than just one Scripture. For example, if news breaks about a police shooting of an unarmed black man, my first response is typically to mourn the loss of life because he is made in the image of God. I withhold judgment towards the officer until I see evidence and also mourn his life because: 1) that life is about to change drastically, and 2) he may be a racist and if so, he needs Jesus (repentance, forgiveness, etc.). I’d then remind myself and the church that we don’t mourn and grieve as people without hope. We have a sure hope and so our grieving is with an eye to the day when the Lord will make all things new. I’ll think on Ephesians 2 and Revelations 5,7,9, etc. TN: I think examination and reflection on scripture are an important – if not essential – part of thinking through tough topics rightly. If we can ask the Lord for strength to humble ourselves, we may be able to have greater empathy, depending on what the topic is. This mindset might also guard us against self-righteousness—we all fall short of the glory of God. TN: I’m a wife, mom, and writer. My latest book, God’s Very Good Idea (http://www.trillianewbell.com/2017/09/01/invitation-celebrate-gods-idea/), just came out. I’m thrilled about this resource for parents, teachers, and children. God’s Very Good Idea is about celebrating God’s idea to create all different people in His image and how the Lord has made a way for us to love one another. People can find out more about me and my books at trillianewbell.com. TN: I preach the gospel to myself. I remind my heart and mind about Truth. She sounds wonderful! Thanks for the introduction, Nylse. We all need to preach the gospel to ourselves every day. and her new book is so on track for today's complicated and angry society. I love the encouragement to look at scripture as a whole. Sometimes it's so easy to take a piece of it like we're at a buffet, but God wants to show us so much more! Thank you for the great share on diving into scripture and studying God's word in full. Great to meet you! How Are We to Deal With Evil?